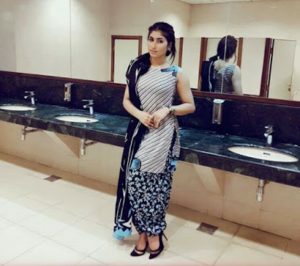 In one of her videos, Qandeel Baloch promised, “Kuch aisa kroon gi kay log pareshan ho jayegay.” (I will do something that will shock everyone). She did that and we are still shocked. 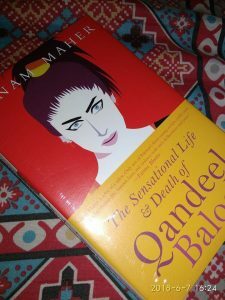 Sanam Maher, a journalist by profession, released her much-awaited book “The Sensational Life and Death of Qandeel Baloch” – based on the life and death of Qandeel Baloch – in May this year. I was eagerly waiting for this book as I was one of those who changed their perception towards Qandeel while she was still alive making videos and headlines at the same time. I finally got my copy of this book last week. I finished it in three sittings which is quite unusual for a person like me. Reading this book was not easy. My heart cried on each word. This book throws light on the events which led to the murder of Qandeel Baloch. To do the justice, Maher interviewed each and every person related in one way or other to Qandeel Baloch. The book opens with the interview of 26 years old reporter who was the first one to report this brutal murder. It moves on discussing the different events of Qandeel’s life comparing it with Chai wala leading to a detailed chapter on Nighat Dad, digital rights activists, and finally concluding with the death of the social media sensation and the events followed by that. Qandeel first captured the nation’s attention on Pakistan Idol with a failed audition and tearful outburst. She was named pinky by one of the judges. Later she was everywhere on the social media. Her videos would receive a massive response with thousands of likes and hundreds of shares. Maher mentioned in her book that Qandeel would observe the social media closely to find out the trending topics of the day and would post a video or message related to it. She criticized Modi, BCCI, and even proposed Imran Khan in her videos after he divorced Reham Khan in October 2015. Qandeel, for sure, knew social media more than any of us. The turning point came when she was invited on a television show along with an Islamic cleric Mufti Qavi who said he would come to meet her in Karachi. After refusing him three times, finally, Qandeel met him in a hotel room. After the meeting, she uploaded some pictures of the meeting which created another controversy. In the pictures, she was wearing the cap of the Islamic cleric and sitting quite close to him. 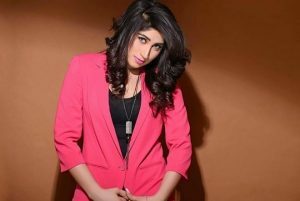 Qandeel was murdered by her very own brother in the name of honor. A brother who himself had the bad reputation in the area strangled her to death. After his arrest, he told media that he murdered Qandeel for posting videos on Facebook, taking selfies with Mufti Qavi and getting media attention for her social media presence. In this book, Maher has tried her best to keep the balance between all voices. She has interviewed close friends of Qandeel along with her parents, Mufti Qavi and the journalists who invited Qandeel at their show. She has put all sides in front of you to analyze, yourself, who was more responsible for her murder; her brother, media, Mufti Qavi or me and you? The murder of Qandeel Baloch shows that there is no space for bold and fearless women in our society. If women want to live they would have to live a submissive and dependent life full of fears and uncertainties because we like our women just like that. Qandeel said in another video and she was right this time too. Yes, we miss you Qandeel and there is no other Qandeel here. No one can be Qandeel. It takes a lot of courage and stamina to be Qandeel and we don’t have that. We just hope you are in peace wherever you are. It’s called troll activism and many liberals adopt it as a form to destroy morality in a society. Very thorough, rich and well deserved review. Bold and stupidity go hand in hand. People who want to promote western culture within our borders should rightly be seen as enemies; our ancestors fought for an Islamic nation in 1947 against the same culture these liberals want to promote. Man or woman, in our country, our culture should be promoted. Nothing bold about taking part in cultural imperialism and promoting western garbage in Pakistan. If someone wants to behave like a westerner, they can go to Western countries.